Frankie Paredes is a familiar face on the Central Coast. 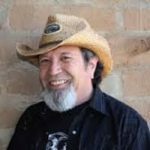 He began playing in San Luis Obispo in the 70s when he and the other members of Salsa Brava stopped for a sandwich and were asked if they could ‘fill in’ for the evening. As the story goes, they never returned home, and San Luis Obispo became their permanent home. Originally from Salinas, Frankie, along with Louie Ortega, co-founded the group Louie and the Lovers, a band which is currently enjoying a renewed popularity with their European fans. 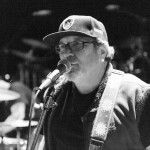 Frankie has played and appeared with many names you will recognize: Jesse Collin Young, Elvin Bishop, Doug Kershaw, Asleep at the Wheel, The Texas Tornadoes, Doug Sahm and the Sir Douglas Quintet, Los Lobos, and many more. 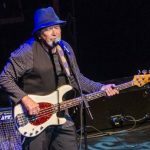 His dynamic bass playing has added a rhythmic edge and solid foundation to many local bands over the years, and Frankie’s soulful singing is always a big plus. Frankie Paredes, along with drummer Dean Giles, is the very cornerstone upon which Rio Salinas is built and is the ‘glue’, which anchors their unique and vibrant sound.